High fantasy meets dystopia in a fast and fun read, that’s Red Queen in a nutshell. In a world where red blood is common as dirt and condemns you to a life of little more than slavery to the high born magic wielding silver bloods, Mare is something new and that means dangerous. Born merely to die on the battlefield with no skills to make her valuable to the Silvers, Mare is the first Red to show signs of magic. Pressed, upon pain of death, into taking up the mantle of a high born Silver, Mare must deny her family and friends all while dodging courtly intrigue, treachery, treason and betrayal all at the behest of the ruling Silvers who want nothing less than for the balance of power to shift. For if the world knew that a Red could hold just as much power as a Silver, society would change forever. Forget Divergent, Red Queen is Game of Thrones meets The Borgias, all wrapped up in am immensely detailed world that seems epic for all that it is barely 400 pages long. 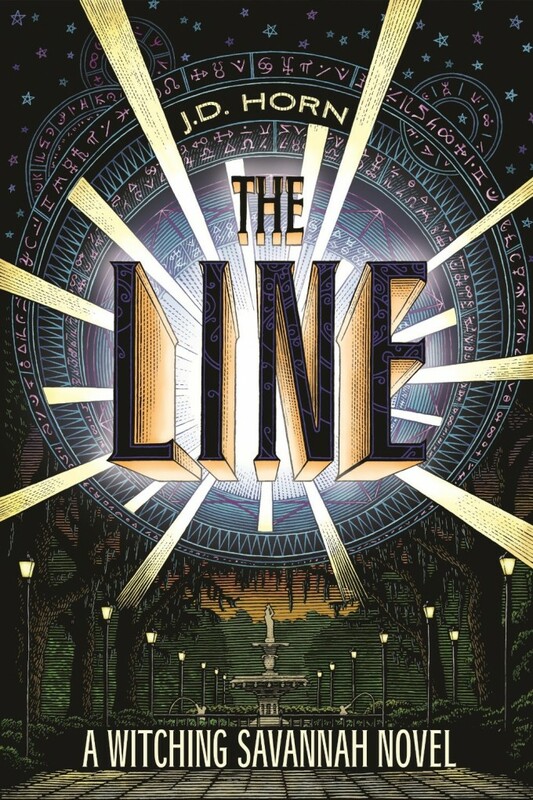 Recommend this to fans of Cinda Chima’s Heir Chronicles. You can find the availability of this book in our catalog here. My all-time favorite stand-up comedian is Jim Gaffigan. This guy can take just about any random subject and turn it into an absolutely hilarious monologue. When I found out he had a book on the NY Times Best Seller List, I couldn’t wait to check it out! 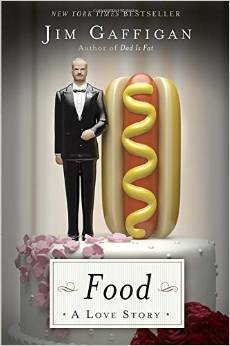 I got Food: a Love Story in the audio format because Gaffigan does the narration himself. Part of what makes him so funny is his dry, Mid-westerner accent. Let’s just say I was not disappointed with this book. My husband listened to it and loved it equally. Then I had my dad listen to it and he is now a fan, too! Gaffigan could spend an hour on the topic of bacon alone. In fact, there is an entire chapter dedicated to bacon. The thing about Gaffigan is that he isn’t a healthy eater and he isn’t ashamed to admit it. He talks about how no one really likes fruit—they just tolerate it because it isn’t as terrible as vegetables! This review cannot possibly give this book the justice it deserves. It is really, really funny and unlike many comedians today, Gaffigan doesn’t need to use foul language to get his point across. Though younger children probably wouldn’t “get” the humor, this audiobook could still be listened to in the car with little ones in tow. If you are in the mood for a good chuckle, this is definitely the book for you! This book is one that I have enjoyed since I was 13 or so, when I first read it. I recently read it again and I have to say, the experience really held up for me.The basic premise is this: entropy is slowly eating the universe alive, and that’s all thanks to a single dark power at the beginning of everything. To combat this, the powers that support life allowed wizards to come into existence. Wizards don’t begin life with magical powers, they swear an oath to use their powers responsibly and in service of life and only then can access the parts of the world that normal people can’t. This decision whether or not to be a wizard is only offered to certain people, and at a young age. Our two protagonists Nita and Kit choose to take the wizard’s oath and become wizards, and the adventures roll on from there. I think the strongest aspect of this book is the way it’s been conceived and written overall. None of the language is condescending, and complicated ideas are presented without any hint that you’ll understand too little of it to enjoy it. The science/wizardry (the two are very intertwined in this book!) is laid out in a straightforward manner but vague enough not to be overwhelming with technical details. Precocious young readers will really enjoy having a story that they can dream into and feel challenges them without being aimed at older readers. I would not recommend this book for struggling readers. Reading comes simply to the main characters and it’s something they enjoy doing, and I would worry that all the mentions of the copious amounts of reading required in this world’s wizardry would turn them off of the book. I would however especially recommend this book to young readers looking for a new series that they can really become immersed in. The action is exciting and the world-building fascinating, and the story really escalates in following novels. This book is also especially powerful for the middle grade readers, I think, because of how it depicts the main characters. They are facing challenges and making huge decisions that impact billions of lives, and are never represented as being too young or stupid to do so. The weight of the world is laid on their shoulders, and they bear up under it. The amount of help they get from adults is just enough to enable them to accomplish things on their own, which is something I think a lot of teens and even pre-teens are striving to do. It is also encouraging as the isolated and bullied main character grows into a confident and important person in her own right. The one aspect that may lose young readers is the setting of the book. It does perhaps feel a bit dated. For me that was always a part of the charm of the book, as I’ve always loved the more formal writing of books from the 60’s – 80’s, but not every reader will be receptive to that. If your reader has ever tried and enjoyed Susan Cooper, Lloyd Alexander, or Madeleine L’Engle, this book is a good bet. Anyone that feels bookish or geeky and doesn’t mind science mixed in with their magic should definitely read this book. Strong themes like death/loss, isolation and friendship, responsibility and consequence are all handled in this book with a deft touch, and give gravitas without sounding preachy. Hand this book to a young reader in your life, or pick it up yourself – it is definitely one of the good ones that can stick with you through your whole lifetime! 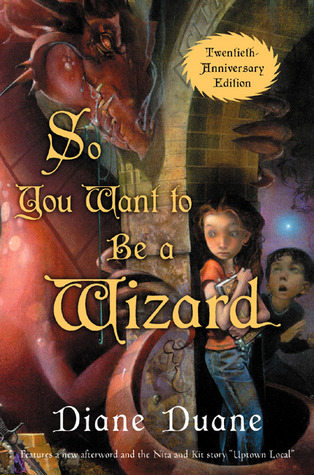 This is book one of the Young Wizards series. You can find its availability in our catalog here. I was first introduced to this book by a friend of mine who told me I just had to read it because I was going to love the story and Dex. I was a little skeptical because I wasn’t a huge fan of paranormal fiction (I had only read Twilight, yay for sparkly vampires!) but I gave it a chance because I’m always on the lookout for a new book boyfriend. Oh goodness did I become a fan! This book sucked me in fast! The chemistry between Perry and Dex was enticing and the way they fought was amusing at times. The story was very well written and at times it was quite chilling. I wasn’t able to read this at dark! Every shadow on the wall was making me jump. 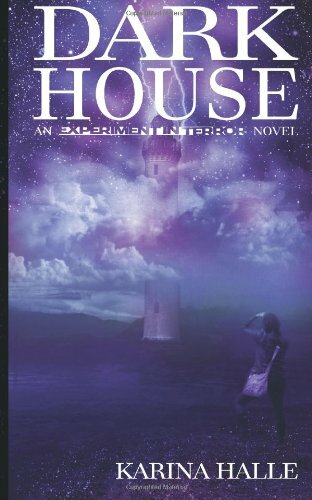 Darkhouse opened up a whole new world of books for me and I haven’t been able to get enough of paranormal stories. I would suggest this book only to adults due to the use of harsh language and gory content. Darkhouse is book one in the Experiment in Terror series. You can find its availability in our catalog here. Fourteen year old Cynthia Bigge wakes up one morning to a very quiet house. Her family – Mom, Dad, and older brother – are gone. No slept in beds, no breakfast dishes, no cars and, most disconcerting to Cynthia, no note from her Mother. They have disappeared without a trace and among the many unanswered questions is “Why was Cynthia left behind?” Twenty-five years later she is still searching for closure, seeing a therapist, and is overly protective of her daughter Grace. Against the wishes of her husband, Terry, Cynthia appears on a cold-case crime show hoping that someone, somewhere, will come forth with new information which will lead to the whereabouts of her family. New information and clues do come to light, but some in such a way as to make the police, and Terry, begin to question Cynthia’s motives and sanity. When events turn sinister, Terry realizes he must take desperate measures and place his trust in some unlikely persons as time grows short to save his wife and daughter. This book was recommended to me by a patron as she was returning it to the library. She commented on the book’s “Many twists”, which is a feature I enjoy in a good mystery. I did enjoy the twists, the slowly growing suspense, and overall the way the author revealed clues one by one for the reader to work out the events for him/herself. The book was maybe a little drawn out in places. Parts could have been eliminated (such as on or two fewer trips to the therapist) but this was the first book in a while that made me stay up too late in order to finish it, so I recommend it. For those of us who have dreamed of owning our own bookstore or for those who just dream of having an independently owned bookstore in their community, The Little Bookstore of Big Stone Gap by Wendy Welch will serve as inspiration and give a glimpse into the reality of such an adventure. I say adventure because of the wonderful tales that Wendy relates of customers, the bookstore cats and more. Wendy and her husband Jack, a native of Scotland, decided to settle down in Big Stone Gap, a small town tucked deep into the mountains of southwest Virginia. They purchased a Victorian home downtown with plans to liveupstairs and operate a used bookstore downstairs. The book takes us into life in a small Appalachian community where everyone knows everyone and two strangers opening a bookstore become the talk of the town. After initial struggles with local politics and negativity, Wendy and Jack become important members of the community, providing a venue for discussion groups, town meetings, musical entertainment and dances. During the course of the book Wendy introduces us to colorful characters who frequent the bookstore, out of state wanderers and the closeness of small town living. I truly recommend this book for everyone who has ever been laughed at or discouraged for chasing their dreams, to those who dream of doing what most folks label as impossible and for those of us who want to be encouraged about life in small towns across the United States. Wendy does a good job of describing small town politics and the pure joy of owning your own business that is actually supporting itself in the downturned economy that is so noticeable in the coal country of Central Appalachia. Recently, Tails of the Lonesome Pine Bookstore (which is actually the real name instead of The Little Bookstore of Big Stone Gap) hired a storekeeper so that Wendy and Jack could tour bookstores across the United States to promote both their store and Wendy’s new book. Life continued as normal in Big Stone Gap and there was even a wedding held at the bookstore in October. Wendy keeps a blog going at http://wendywelchbigstonegap.wordpress.com/ where folks can keep up with weekly happenings at the store. I think that this book has inspired a road trip for me. Check this book’s availibility on our catalog! A member of the Friends of the Library asked me if I had read this book. I had not and frankly, I hadn’t heard of it. She said a group at her church had read and discussed it and I should read it. When I read the synopsis on the cover, it piqued my interest. The book centers around 9/11 and a passage in the Bible. The passage is Isaiah 9:10. This passage was used, knowingly or unknowingly, by many in government to bring comfort to America after the disaster. I must admit I found comfort in the words after the disaster and especially because they were from the Bible. Isaiah 9:10 reads; The bricks have fallen down, but we will rebuild with hewn stones; the sycamores are cut down, but we will replace them with cedars. In the Bible this was a vow the leaders of Israel proclaimed after the Assyrians had broken through the wall protecting Israel. The problem was that the Assyrian invasion was meant to be a message to Israel for the country to return to worshiping God. Instead, they depended on their own skill and power and remained rebellious toward God. There were 9 warnings to Israel, before they were destroyed by the Assyrians. The similarities between ancient Israel and America today is eerie! This book is fiction. However, before the table of contents there is this message: “What you are about to read is presented in the form of a story, but what is contained within the story is real.” You know what they say; “Truth is stranger than fiction.” You should read it and decide for yourself. Chief Inspector Armand Gamache of the Sûreté du Québec and his investigative homicide team are called to the quaint village of Three Pines. Jane Neal has been found in the woods, killed by a hunter’s arrow. The locals are sure it’s a tragic accident, seeing as Jane was a gentle, kindly soul without an enemy in the world. Gamache at first is inclined to agree. But as he methodically and thoroughly investigates each of Jane’s friends, he uncovers secrets and circumstances which convince him Jane’s death was deliberate. I was fortunate to pick up “Still Life”, not realizing it was the 1st in a series of Inspector Gamache mysteries. I like Gamache who is a man of integrity and compassion, respecting not only the victim but those grieving for her, even as he gathers facts and forms a compelling case for murder. Also, the villagers and police work separately and together to determine Jane’s killer, dropping clues for the reader along the way as the story unfolds (though I must admit I did not guess the correct who-dunnit). I plan to read more of this series. This time I picked another Halloween inspiration book to get me ready for my favorite holiday. 🙂 This one caught my attention from the shelves because of the adorably carved pumpkins on the front, and because really who doesn’t love pumpkins at Halloween? The subtitle for this book is “A Visual Guide to Fall Decorating with Pumpkins and Ornamentals”. If you’re looking for exhaustive descriptions of how to recreate the ideas in the book, this isn’t the one for you. There are simple descriptions for each project, but the main focus of this book really is the pictures. (Thus the Visual Guide part, I guess.) And boy, the pictures really are worth it. There are some really adorable displays, and some very elegant ones, and some things I have never seen before and certainly couldn’t have brainstormed on my own! One of the prettiest and most unique ideas I saw in the book was probably the three-tiered pumpkin fountain. They accented the fountain with fresh bittersweet branches and the result was a lush, beautiful, harvest fountain. As far as the text goes, there seems to be just enough to get you through the projects, but for those of us that sometimes need a little more of the step-by-step instructions, certain steps may leave us stumbling. There are recipes for the Thanksgiving portion of the book that are standard step-by-step fare though, and there is a very informative appendix in the back of the book that details all the different types of pumpkins and gourds found throughout the book. There’s also a lovely (but short) section at the beginning about the pumpkin process – from how the pumpkins are grown and harvested to how to select and care for your pumpkin. I really enjoy the layout of the book – there are often mosaics of pictures on each page, the photos themselves are all well-composed and eye-catching, and where there are blocks of text they fit in instead of breaking the flow of pictures. All in all I would recommend this book to people looking for Halloween and other fall design ideas who are more visually inspired. If you are a more concrete builder, painstakingly following each direction to create your desired outcome, this is probably not the book for you. But even then, it’s certainly worth a look for the information on pumpkins and the gorgeous pictures! Check this book’s availability in our catalog!